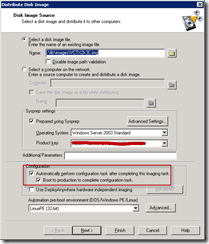 Altiris has built in support for Sysprep when creating or distributing images. The documentation doesn’t mention some things that are worth knowing so I will try to address them in this post. 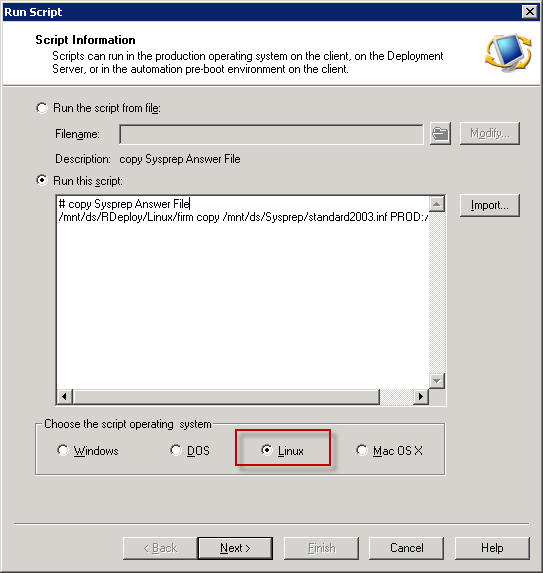 Sysprep support can be added to Altiris during the install where it will ask you for the Sysprep install files (deploy.cab) per selected OS. 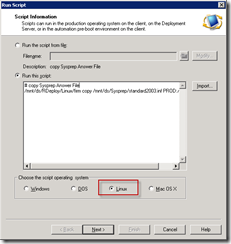 As I wrote earlier in this post it’s very important to use the correct Sysprep version as each OS has it’s own version. 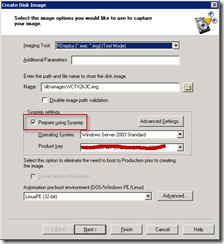 As a general rule you should grab the deploy.cab from the install media (in the Support folder). 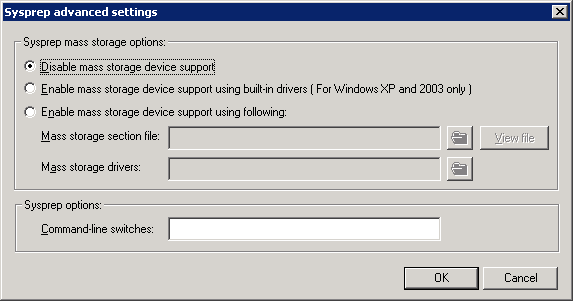 If you do not need to perform special configuration for you mass storage (eg add drivers) you can select “Disable mass storage device support” under Advanced Settings. Optionally you can select an Automation environment, I like the LinuxPE option since it’s boots fast like the DOS option but still as fast imaging like Windows PE. 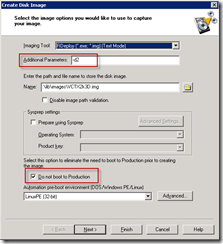 When you schedule a Create Image task with Sysprep activated, Altiris will copy the files in the deploy.cab to C:\Sysprep on the target computer and run Sysprep. 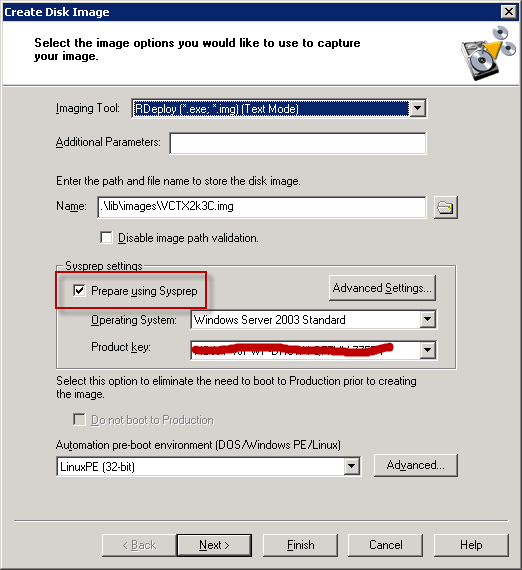 It will also copy a default sysprep.inf file that is used to restore the target computer after imaging. But where does this sysprep.inf file come from? So I assumed it would copy standard2003.inf but instead it always seems to copy standardxp.inf. 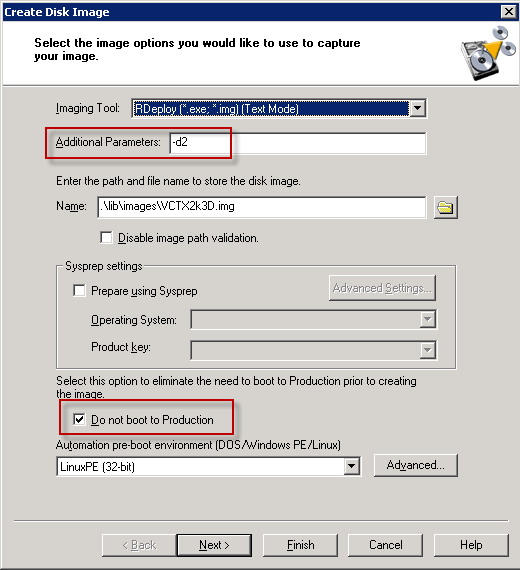 If you cannot use this file, eg because you have differing files per OS you can copy a sysprep anwer file after the create image job. In the Answer file we can use both Default and Custom tokens, Altiris will replace them to the actual values before injecting it. The password is stored securely because a regular user shouldn’t be able to access the eXpress database directly. Note that I also tried to use an encrypted password in the answer file (setupmgr.exe allows you to do so) but this results in an error message during Sysprep which will halt the process until you click OK. This behavior is documented here. Note: if you use the HP branded version of Altiris a simple User Tokens Editor is included in the Tools | HP Tools menu. 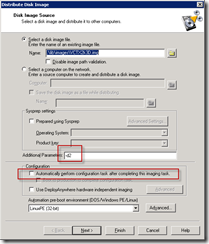 By default Altiris will only create or deploy an image of the first disk. 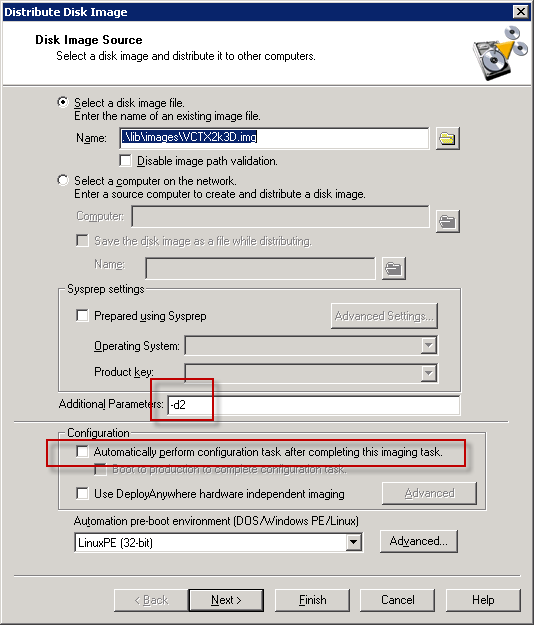 If you want to create or deploy images for multiple disks you can create a second task and use the -d<number> parameter. When restoring multiple disks, the easiest way is to restore the extra disk(s) first by using the -d<number> parameter again.